Arguably the most unique umbrella out there, the 8 foot Palm Umbrella offers quality construction that will impress even the most critical skeptic. The Palm Umbrella is made with ½ inch fiberglass ribs, and its sturdy center pole has a heavy aluminum core and a protective, textured fiberglass coating for excellent, long lasting durability. The FiberTeak™ poles and finials simulate the look of a real coconut palm tree. 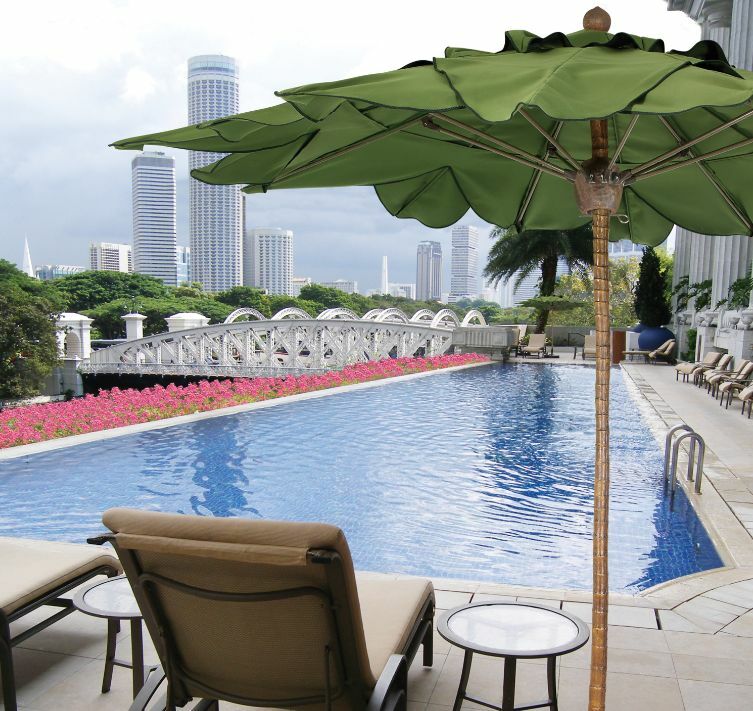 The Palm Umbrella has been tested to withstand up to 50 mph winds, proving its superior durability. Designed for freestanding use, it will fit in any base designed to accommodate a 2 inch pole. The umbrella comes with a push up and pin lifting system and a FiberTeak™ hub with stainless steel hardware. With a weight of 45 pounds, the Palm Umbrella is a sturdy product that will provide many years of comfortable and reliable shade. The standard tops are made of marine or furniture grade, solution dyed acrylic. Please see the fabric selections below. The Palm Umbrella is warranted for a period of five years, to the original purchaser, against defects in materials and workmanship. The fiberglass support ribs are also warranted for a full five years.